A young Romanian housekeeper agrees to be the surrogate for a well-off Danish couple, who live in a remote house at the edge of the woods. Soon, however, the pregnancy turns into a nightmare, as the baby grows abnormally fast, and the tension rises and turns menacing. What starts as a minimalistic, Bergman-esque drama little-by-little transforms into a morbid horror film, in which the "Frankenstein" myth meets "Rosemary’s Baby" and body horror tropes out of a David Cronenberg movie. In order to support her family in Romania, young Elena agrees to work for a wealthy Danish couple who live in isolation at the edge of the forest, away from modern comforts. A mutual understanding is developed between Elena and her employer who is recuperating after a miscarriage that left her unable to have children, and Elena decides to become a surrogate mother for the couple. But soon her pregnancy will turn into a nightmare, because the foetus is growing unnaturally fast, and Elena’s ominous visions are beginning to disturb the sensitive balance within the harrowing atmosphere of tension and menace. The most recent example of a new and ambitious generation of horror films ("It Follows", "The Badadook", "The Witch") that bring an innovative twist to the tropes of the genre, the debut of Iranian-born director Ali Abbasi starts as a minimalistic domestic drama reminiscent of Bergman and culminates in a chilling climax where the myth of Frankenstein meets "Rosemary’s Baby" and the physical horror of David Cronenberg. Screened in the Panorama section at the Berlin International Film Festival. In 1999, a handmade horror film came to haunt the silver screen, awaken your nightmares and become a phenomenon of pop culture. Years later, the Blair Witch returns and challenges another group of people to enter the woods. Primal fear and a supernatural threat that puts you up against the wall. You thought you'd seen everything. Think again. 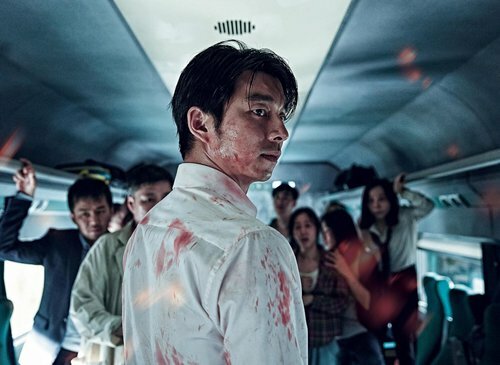 "World War Z" meets "Snowpiercer" in a post-apocalyptic hell brimming with zombies ready to devour any survivors aboard a train. Each station has more undead in store and the battle to keep even a single carriage safe will be bloody. 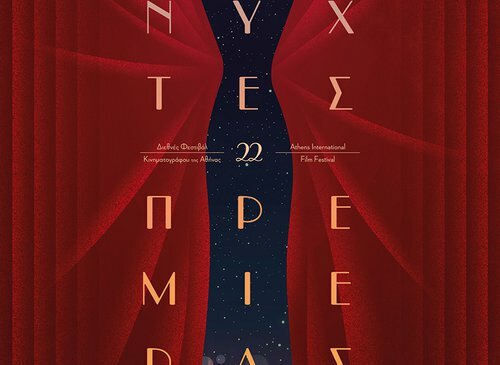 The midnight crescendo which terrified the Cannes Film Festival. Cannibalism and vegetarianism can hardly share a meal. Or can they? 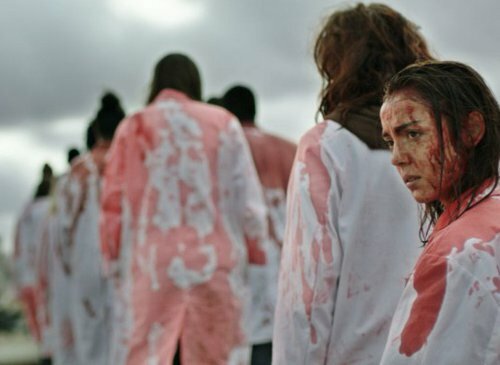 The awakenings of the flesh experienced by a young vet student set the scene for a cinematic treat of gory imagery, sexual tension and an aftertaste of comedy, which drenched the Cannes Film Festival in blood and grabbed the FIPRESCI award. A film debut destined to stay fresh in your mind. The lights go out, she appears, somewhere in the distance. The lights are turned on again and she's gone, though she's only a blink away. "Lights Out", produced by James Wan, the director of "The Conjuring", is guaranteed to make your skin crawl and will assure you of one thing: when the lights in the theatre go out, you'll have no idea what's right there next to you. Foodstuffs realise they're being... eaten in this irreverent and hilarious "party" cooked up by the writing team behind "Superbad" and "The End of the World", Seth Rogen and Evan Goldberg. 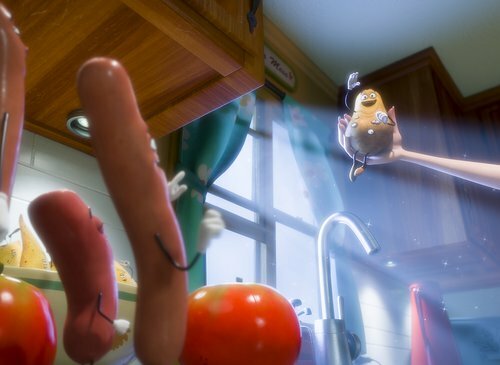 A cannibalistic "Toy Story" hungry for insolence, a cinematic meal you absolutely wouldn't serve to underage audiences. Does anyone feel bad about today's feast?